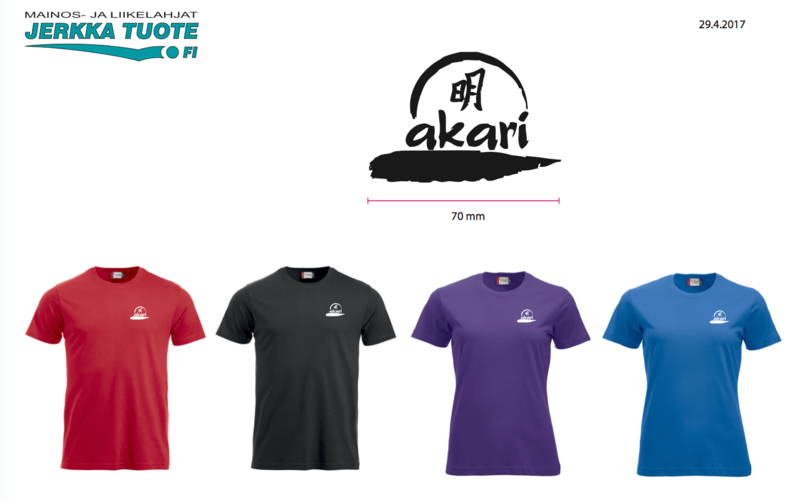 We have opened an order form for textiles with printed Akari logo. Available are t-shirts and hoodies in various colors for men, women and children. Make your order now 7.5.-21.5.17 so that we have time to deliver them to you before the summer break. Here is the link for the order form (in Finnish): link. If you have problems with the Finnish order form, don’t hesitate to contact us directly akariry (ät) gmail.com.